U.S. 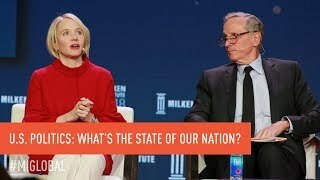 Politics: What’s the State of Our Nation? It is accepted wisdom that for nearly any industry competition and innovation are positives. Indeed, there is now growing debate about whether various industries are too dominated by a handful of firms at the expense of consumers in the short term and innovation in the long term. But in the U.S., there is one industry where we’re routinely told the opposite; competition or innovation isn’t needed, and concentrated market power and longstanding business models are signs of strength. This industry is arguably the most important for our future: politics. Katherine Gehl, business leader, entrepreneur and activist, is the leading authority of a new school of thought: political innovation. Gehl, who spent most of her career in business, argues that the principles of disruption that have upturned most industries in recent decades are urgently needed in the political sphere – and that the future of the world’s most powerful country, as well as its businesses, depends on it. Gehl co-wrote, with renowned strategy expert and professor Michael E. Porter, the influential Harvard Business School report, “Why Competition in the Politics Industry is Failing America.” They apply Porter’s widely recognized Five Forces model to the politics industry, pointing out that U.S. politics are effectively a duopolized industry, controlled by two firms – the Democrats and Republicans (and their industry allies) – who create high barriers to entry for any potential new competition. The result is what one would expect of any industry lacking competition: failure to deliver on consumer demands, lack of responsiveness to broader change and a comfortable complacency disguised as rancorous gridlock. But unlike private industry, there is no regulatory authority or antitrust law that can be used to break up the duopoly and diversify the marketplace. In their thought-provoking keynotes, Gehl and Porter propose a theory of change and a series of reforms designed to disrupt this system and promote real competition in the politics industry, driving true innovation—and, most importantly, governing in the public interest—in the process. Gehl’s work is about politics, but it’s not “political” or partisan. As the U.S. slides further into the morass of dysfunctional politics, the business world must grasp that it cannot simply prop up the status quo. From crumbling infrastructure to lack of investment in AI and the technologies of the future, political paralysis is strangling the future of America’s economy. As the former CEO of Gehl Foods, Inc., Gehl delivers passionate keynote presentations that reveal how citizens and business leaders can play a role in advocating the reforms needed to bring competition to the politics industry, as well as the long-term benefits of a more responsive and dynamic system. In this mission, understanding her theory of political innovation will be essential to success. Gehl’s background includes roles as vice president at Bernstein Investment Research and Management, special assistant to Chicago Mayor Richard M. Daley for technology and economic development, director of information technology services at Chicago Public Schools and director of organizational development at Oracle Corporation. She also serves on the boards of directors at The Marcus Corporation and West Bend Mutual Insurance Company. In 2010, Gehl was nominated by President Barack Obama and confirmed by the U.S. Senate to serve on the board of directors of the Overseas Private Investment Corporation (OPIC). Gehl graduated from the University of Notre Dame, and holds a master’s degree in education from the Catholic University of America and an MBA from Northwestern University’s Kellogg Graduate School of Management. 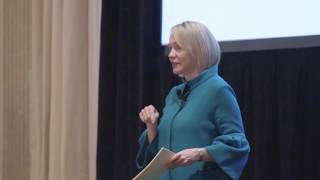 Katherine Gehl is available for paid speaking engagements, including keynote addresses, speeches, panels, conference talks, and advisory/consulting services, through the exclusive representation of Stern Speakers, a division of Stern Strategy Group®.